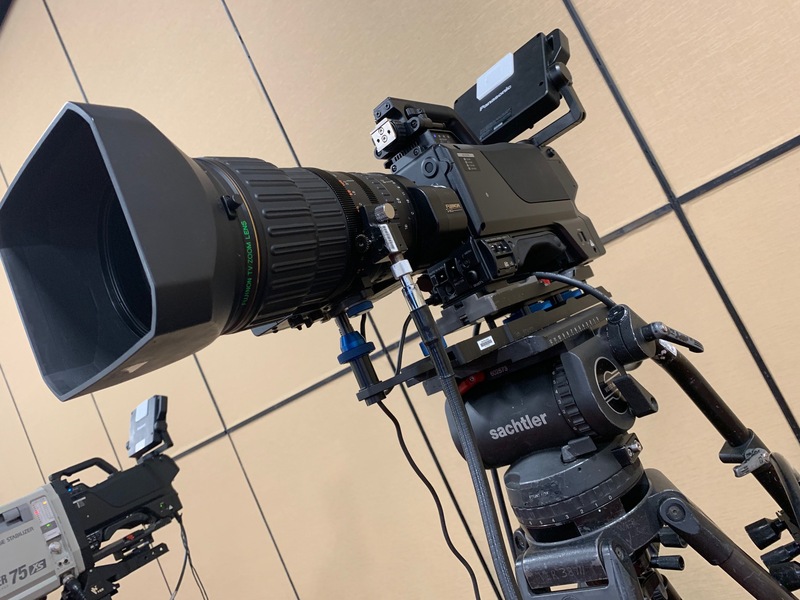 Ansys and Workday keeps ICV crews busy with multiple days of video production and live webcasting. 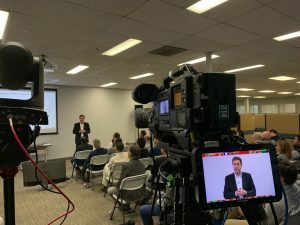 Using our live webcasting production process that we have honed with 100’s of townhall webcasts, our full time webcasting technicians take our travel ready webcasting flypacks to our clients’ locations. 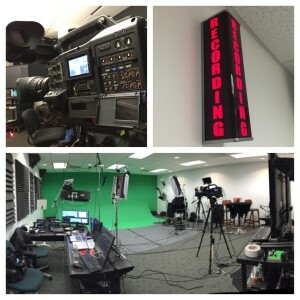 Within an hour we are setup and ready to webcast using absolute broadcast quality equipment. No phones, DSLRs, or handycams here. 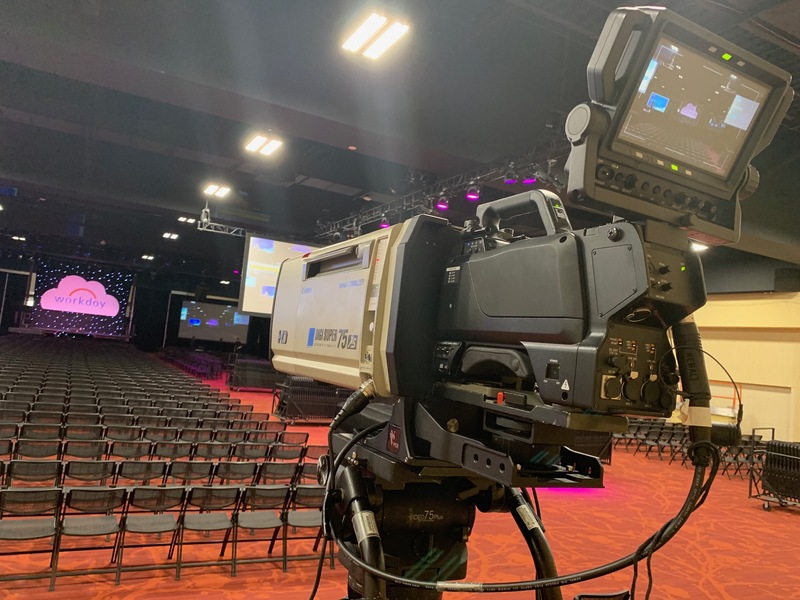 Panasonic 3100 fiber cameras at full HD resolution and Shure audio mixers and mics, with LED light panels and more guarantee that your viewers will get a webcast stream that speaks to the care you take in all of your business operations. That’s the webcasting video production aspect. 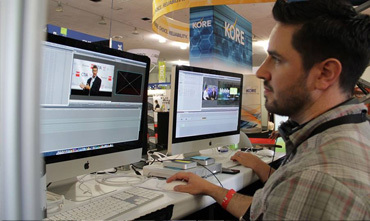 The same is true of the technology we provide as part of our webcasting service. Every client webcast is presented and managed by ICV within our secure, proprietary Live Webcasting Platform. A secure 3rd Generation webcasting platform we call V3+. Built by us for the enterprise. User access, Email notifications, custom webpage and video player designs at the URL OF YOUR CHOICE are included. Your secure corporate communications or public announcements are all presented within this mobile friendly streaming interface and website. Accessible only by who you choose. Live and later On-Demand streaming at the same URL. Agendas, speaker info, Chat, Polling and CE Credit learning are all available. You don’t have to send your content to a providers service within a subdomain or post it to a shared social site intermixed with who knows what – unless that is what you want. We can stream to any social platform or CDN including our own. Get a quick demo of our services – visit www.icvdm.com or call 800-232-3070 and tell us what you are looking for and we’ll see how we can help.